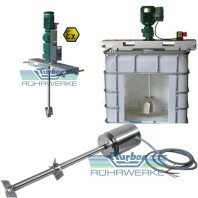 ÅBS is the first company outside Germany, ÅBS has been granted exclusive sales rights to Turbo-Rührwerke stirrers. Today we are General Agent for these products in Sweden with several sold and productive stirrers around the country. Applications range from small portable stirrers to mass stirrers with effects from 0.09kW to 75kW. Agitators for operation in most processes (chemical, pulp and paper, pharmaceuticals, food, breweries, petrochemicals, purification plants, etc.) must have a robust construction to work with high reliability. 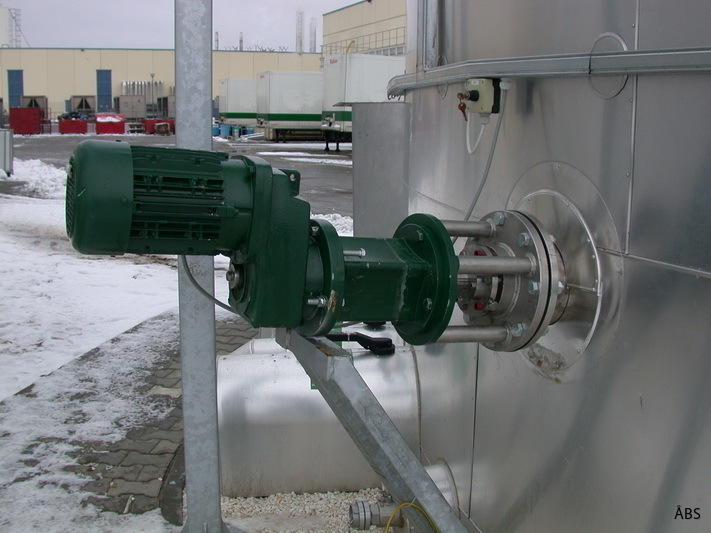 The agitators are based on a gear motor, if necessary with reinforced bearings. The agitators shaft is connected to the shaft shaft in the transmission by (smaller units) or flange coupling (larger units). This design ensures quick assembly / disassembly of the unit for installation and service. We can help trim your processes when you want to save energy and time, increase yields or ensure quality! How should the stirrer be used? We have access to unique knowledge to help you dimension properly according to your process needs. Dimensioning, Engineering and Service are of course included in the concept as well as human prices as well as short delivery times. IBC tank stirrer and stirrer for food.